Over 100 journalists from 34 countries took part in the forum. “Dispelling myths and breaking stereotypes is tough but important and noble work, which many Russian-language media do honorably. The regular international forum, which brings together journalists, experts, and business and government representatives, facilitates this work as well,” the Mayor of Moscow Sergey Sobyanin said during his opening address to the participants of the It’s Time for Moscow forum. 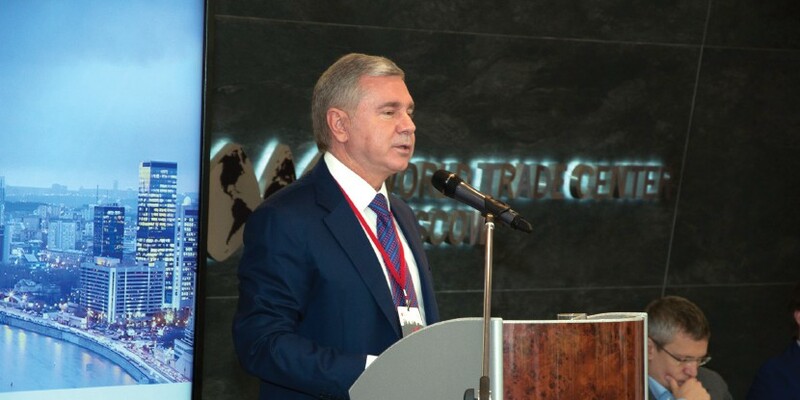 Moscow is the economic engine for Russia’s development and a rapidly growing macroeconomic region, Minister of the Moscow Government and head of the Moscow Department of External Economic and International Relations Sergey Cheremin said in his speech during the opening of the forum. “In just a few years, we have moved up almost 100 places in the ratings for the ‘Business’ category and are currently in 35th place. We have very ambitious plans for the near future,” he said, “As of today, the capital has a well-balanced and nearly deficit-free budget, which is really uncommon for major cities. By the end of 2017, direct accumulated foreign investment in the city’s economy amounted to about 280 billion US dollars. The number of foreign companies in the city continues to grow. And this growth isn’t limited to just European enterprises, but also companies from the United States. Countries that introduced anti-Russian sanctions in 2014 are also in the lead in terms of investment volumes in Moscow’s economy. According to Mr. Cheremin, this includes Germany ($ 8.8 billion of accumulated investment), France ($ 4.6 billion) and Italy ($ 3.6 billion). Sergey Cheremin highlighted the importance of city projects, including “My City,” “A Million Trees,” the “Active Citizen” portal, Zaryadye Park, the development of a car sharing system, as well initiatives aimed at improving the spaces near the Moscow River. He pointed out that the implementation of projects like “Safe City,” an intelligent transportation system, and the Unified Medical Information Analysis System (UMIAS), the Moscow electronic school got a lot of positive feedback from city residents and experts. Thanks to the establishment of modern infrastructure and a favorable business climate, Moscow was able to move up to top positions in global ratings across indicators like creation of a quality urban environment, human capital, and digital economy in just a few years. According to Mr. Cheremin, the city is also in the lead among Russian regions when it comes to public-private partnership projects, in the lead among Western European cities in terms of economic and infrastructure development indicators, and has taken the lead globally in terms of paid parking space organization. Moscow Government Minister and Head of the Department of Information Technology Artem Ermolaev talked to the forum participants about the introduction of new information services for Muscovites. He noted that the city has reconstructed over 300 parks, which are now equipped with Wi-Fi. “There are over 2,000 free wireless internet hotspots in Moscow, there is free internet in all public transportation in Moscow, and mobile internet access is eight times cheaper in Moscow than it is in New York,” the Minister said. Mr. Ermolaev also talked about the process of establishing car sharing and taxi services in Moscow. All social facilities in the city have been digitized as well. “Today, Moscow is in first place in the world in terms of developing e-services for business and city residents, ahead of London, New York, and Paris. Digital medical services, artificial intelligence technologies, and blockchain are developing rapidly,” he pointed out. According to him, digital technologies will help increase transparency in many socio-economic processes and create and environment of equal opportunity. Alexey Pogonin, Deputy Head of the Moscow Healthcare Department, spoke about the development of the Unified Medical Information Analysis System (UMIAS) in the capital. He pointed out that the concept of a “Smart City” includes the use of digital technologies in the sphere of diagnostics, treatment, and services for patients. Currently, 98% of patients can get an appointment with a local doctor or pediatrician for today or tomorrow – a major improvement that was in many ways possible thanks to the UMIAS. Currently, over 7 million Muscovites already have electronic medical records. “The use of telemedicine, computer vision for medicine, and digital education is growing in Moscow. All of this helps us diagnose life-threatening diseases in early stages and select proper treatments,” Mr. Pogodin said. Moscow Government Minister and Head of the Department of Department of Regional Security and Anti-Corruption Activities Vladimir Chernikov talked about the multi-level, multipurpose security system that was set up in Moscow during the FIFA World Cup. “Today, Moscow meets all international security standards. The championship was a sort of test for us and a criteria used to assess the quality of our work. Over 100,000 people came to the fan zone, including people with babies. Everybody understood that the situation is under total control, and we didn’t let the fans down,” he said. The Head of the Moscow Department of Sports and Tourism Nikolay Gulyayev talked to the participants about the results of the World Cup. He called the championship a success and said that the fans brought an additional 14.8 billion rubles to the city’s budget. Alexander Polyakov, CEO of the State Unitary Enterprise “MosTransProekt,” talked about transportation logistics during the World Cup, as well as about the development of Moscow’s transport infrastructure within the “Smart City” context. Today, the transportation sector plays a major role in the city’s development. Over the past few years, the city has managed to build about 700 kilometers of highways and complex transport interchanges, as well as launch an intelligent transport management system. In the future, another 200 kilometers of roads will be built, and the city also plans to make improvements to the intelligent transport management and telemonitoring system. Before 2020, private investment volumes into the city’s transport infrastructure are expected to reach $18.2 billion. This will allow the city to build 255 major interchange hubs that will bring public and private transport together into a single system. 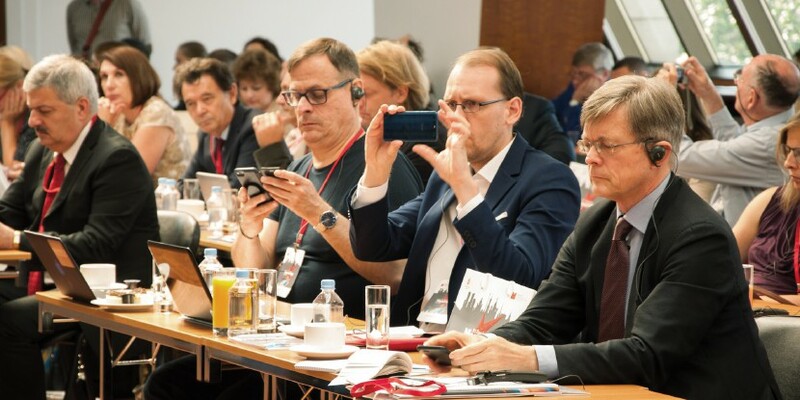 The second session of the forum, which brought together representatives of Russian and foreign business circles, was dedicated to the issues of developing international business in Moscow and informatization. President of the American Chamber of Commerce Alexis Rodzianko (who talked about US companies working in Russia), Deputy Director of the Italian Foreign Trade Institute Giuseppe Russo, representative of The Boston Consulting Group Konstantin Polunin (who gave a report about Moscow’s competitive positions in the context of international business development), Managing Director of Kroll Russia and CIS Alessandro Volchich, and Vice President of AccorHotels East Alistair Robertson-Watts spoke at the session. Roundtable discussions with the participation of Editors-in-Chief from leading Russian-language foreign media were held during the forum. During the discussions, participants talked about about various functions of Russian-language press abroad: objective and balanced coverage of socio-political events, the creation of a unified Russian-language information space, and the preservation and promotion of the Russian language. The issue of what role the Russian youth can play in consolidating the Russian speaking world. Forum participants visited the VDNKh “Smart City” pavilion, where they took part in the round table, as well as the “Interactive Model of Moscow,” “Space,” and “Zaryadye Park” pavilions. (Interviews with some of the participants of the forum read on pages 44-50 ).